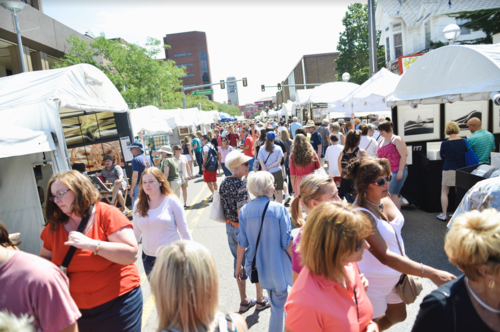 The Ann Arbor State Street District Art Fair is one of the four contiguous art fairs that transform downtown Ann Arbor for 4 days in July. The State Street District Art Fair takes over the city streets within the State Street District and brings the art world to the District. The State Street District Art Fair is known for its eclectic style and wonder as it joins fine art and the vibrant downtown District neighborhood. With the addition of the Emerging Artist section, the Fair is looking forward to reinventing our next 50 years and continuing to provide the Midwest with the best art event.